Deeper and wider than standard conduit bodies, mogul conduit bodies offer plenty of room for bending and pulling stiff wires and cables. 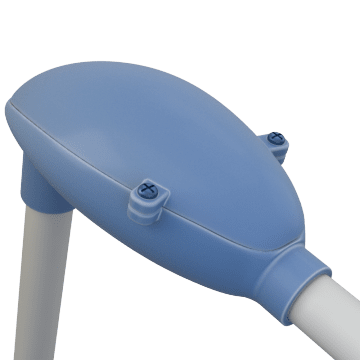 They connect conduit sections at an angle and reduce the potential for creating sharp bends and kinks in wiring. Ideal for pulling large-diameter wire and cable, they have a removable cover that provides an access point for maintenance.